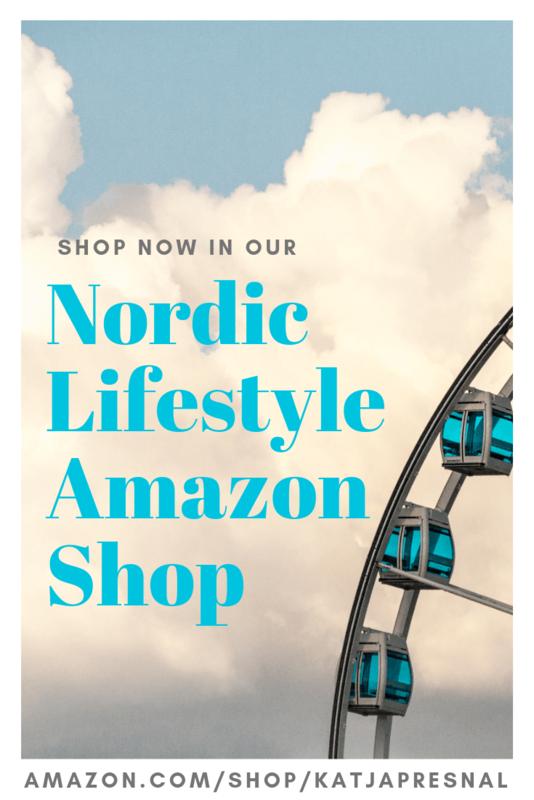 Have you been already waiting for the Just In! scoop this week? I know, you probably expected something about the Breaking Dawn, or more hot guy pictures like David Beckham last week, but this story isn’t about entertainment, fashion, celebrities or design. This trending topic is about Debbie Sterling, engineering and toys, and it’s not really even new of this week, it hit the news already about two months ago. 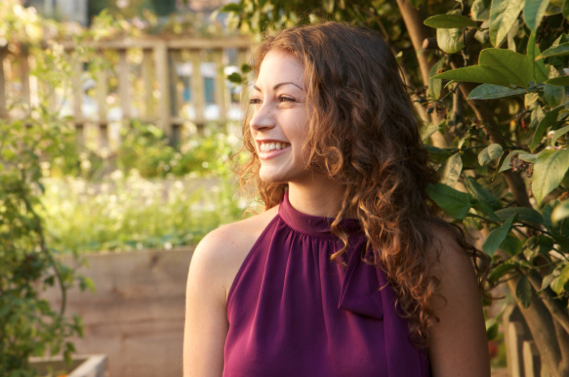 Debbie Sterling graduated as an engineer at Stanford and her story is probably pretty typical: she didn’t even know what engineering was until a high school school counselor suggested it might be the right path for her. “Engineering” isn’t one of the things girls are “supposed to” be interested in, and it is not as encouraged on young age, and thus not many girls seek into studying engineering. I can relate to Debbie and what it is to be a rare female in the engineering world, I studied mechanical engineering, majoring in production management, although the internship in an electronics company is my only real work experience in the engineering field. The truth is that 89% of the engineers of the world are men, and Debbie wanted to do something about it and she is now on a mission to get more girls into engineering. Debbie started her research from the toy aisles, and realized that the “blue aisles” for boys are full of construction sets and building blocks, but the “pink aisles” for girls are filled with dress ups and dolls, and very little toys that get girls into science. Many toy companies manufacturing the toys that promote engineering to boys have made their “girl versions” of the toys by making the boy sets in pink – and many, like LEGO, have also gotten criticized for doing so. Debbie hit the nerve when she realized that girls are more interested in reading and she wanted to create a scientific toy, which comes with a book and a story that girls are interested in. Goldie Blox was born. 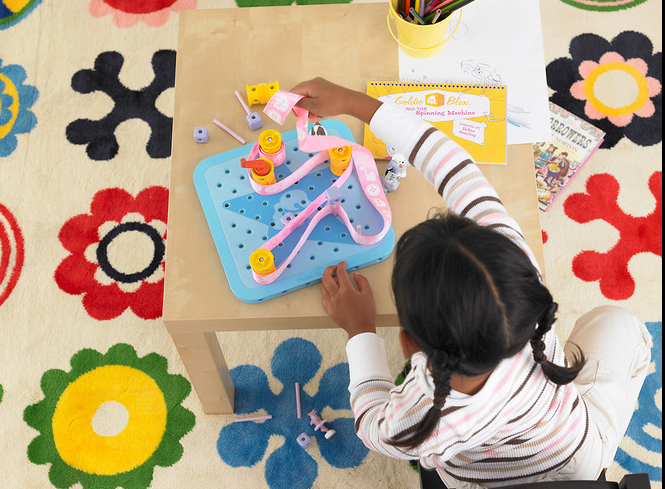 Goldie Blox is a story of Goldie, who solves problems and builds things – and girls can read her story and use the building blocks that come with the book to create objects. 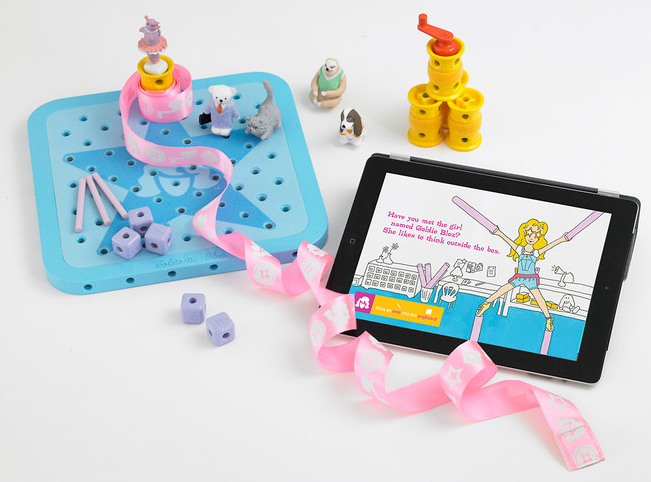 The book-toy helps o develop spatial skills and teach basic engineering principles, and the bottom line: to get girls more interested in scientific thinking and engineering. 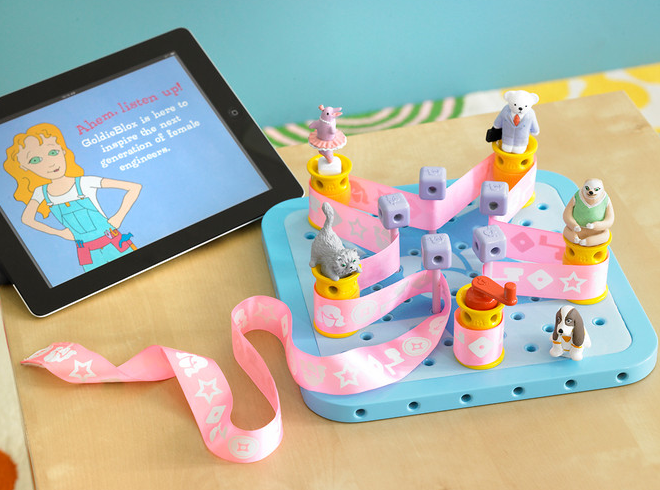 Goldie Blox has gained an impressive amount of press the last two months and it raised over $280K of kickstart money on Kickstarter to build the first round of 5000 toys, expected to be delivered in February 2013. I have a feeling this is THE next IT TOY for the girls of age 5-9, and you might want to do yourself and your little girl a favor and pre-order a set right now ($29.99). Learn more about the toy on their website. 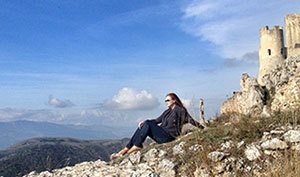 Debbie looks like she is living life to the fullest and has found her passion to inspire more girls into engineering and we can’t do anything but congratulate and wish her success. I’m sure this isn’t the last time we are covering Goldie Blox here at Skimbaco. Way to go, Debbie! Brilliant. This is very cool, isn’t it?